Flood Insurance with JK South Insurance Inc. | JK South Insurance Inc. Flood Insurance with JK South Insurance Inc.
Floods are common in every state in the United States including Florida. According to the Federal Emergency Management Agency, at least 90 percent of all disasters that occur in the United States involve inland flooding, seasonal storms, or flash floods. Therefore, flood insurance is a necessity for everyone even if you do not live in a high-risk area. JK South Insurance Inc. brings you a comprehensive and specially designed flood insurance policies that will meet your needs. Our policy is designed to protect all property owners in Florida against the widespread flood damage that is usually caused by frequent storms. What Does Our Flood Insurance Policy Cover? Our policy covers your entire house structure including foundation walls, staircases, and even the anchorage systems that are attached to it. We will ensure that you always have a home for yourself and your family even if your current home is severely destroyed when floods occur. Our flood insurance policy also protects essential home systems such as electrical and plumbing systems, water heaters, furnaces, heat pumps, sump pumps, and even central air conditioners. The policy also covers solar energy equipment, water tanks, and fuel tanks. We also protect your personal property in the home such as furniture, clothing, and all electrical equipment such as television sets and sound systems. 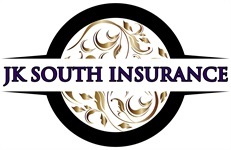 JK South Insurance Inc.'s flood insurance policy also covers permanently installed carpeting even when the carpeting is done on an unfinished floor. Your window curtains and blinds are also protected in our policy. The other items covered in our policy include permanently installed wallboards, bookcases, and cabinets, a detached garage that is used for parking, electrical appliances such as washing machines, dryers, refrigerators, freezers, and other particular valuables. Do you know that your standard homeowners’ policy doesn’t protect you from floods? Contact us today for a comprehensive flood insurance coverage. Our agents can answer your questions and help you get started on an insurance policy.